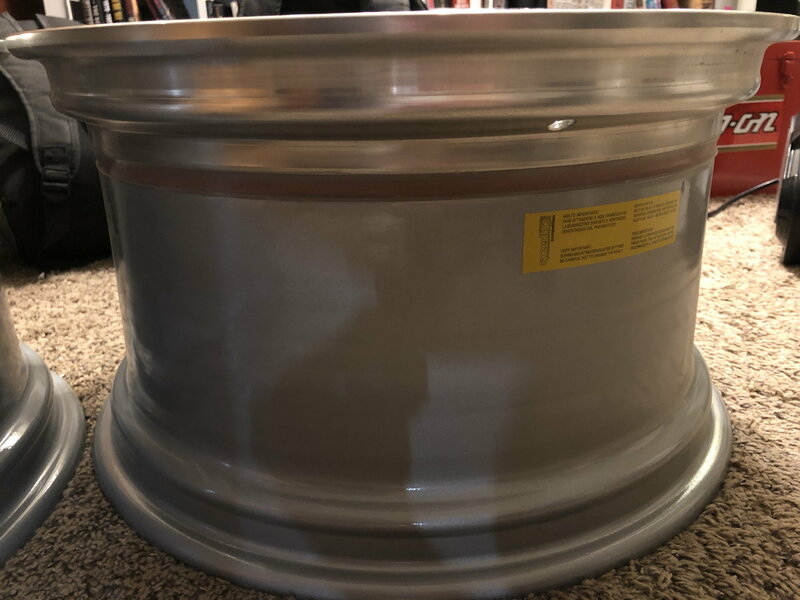 Looking for 964 speedline 9.5" cup wheel offset info. 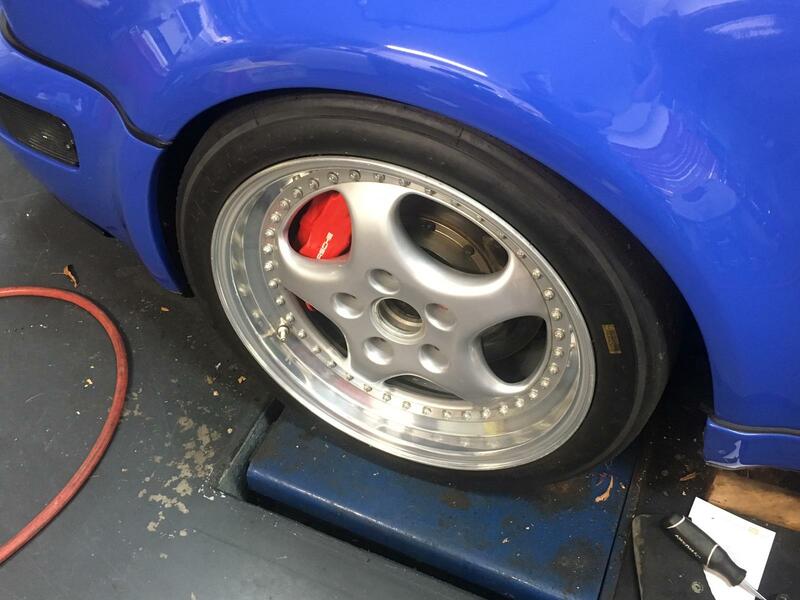 I have a set of 964 3.8RSR center hub speedlines. They are a matched set with matching serial numbers. 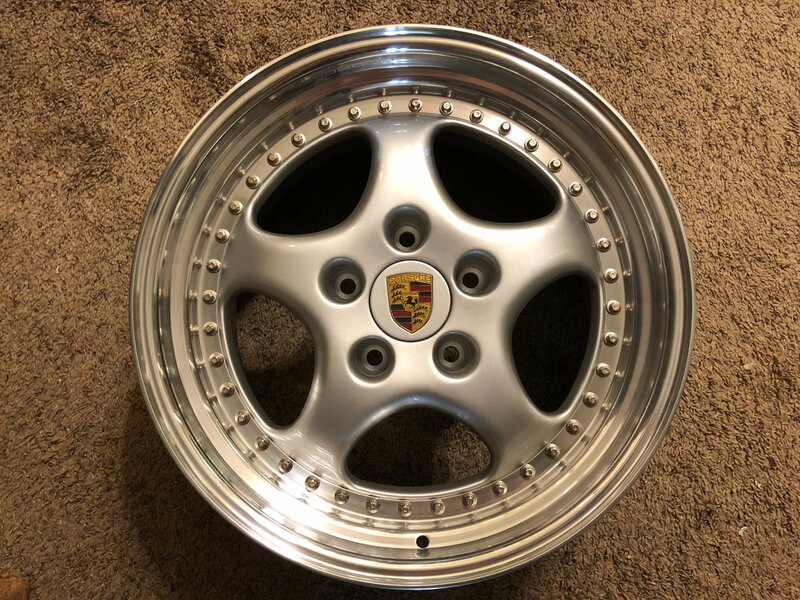 Original wheels never disassembled and purchased from a prior 3.8RSR owner. They were used as his rain tire wheels as we know these things look great but are boat anchors. My confusion is with the fronts which are 9.5 (actually marked as (9 1/2). 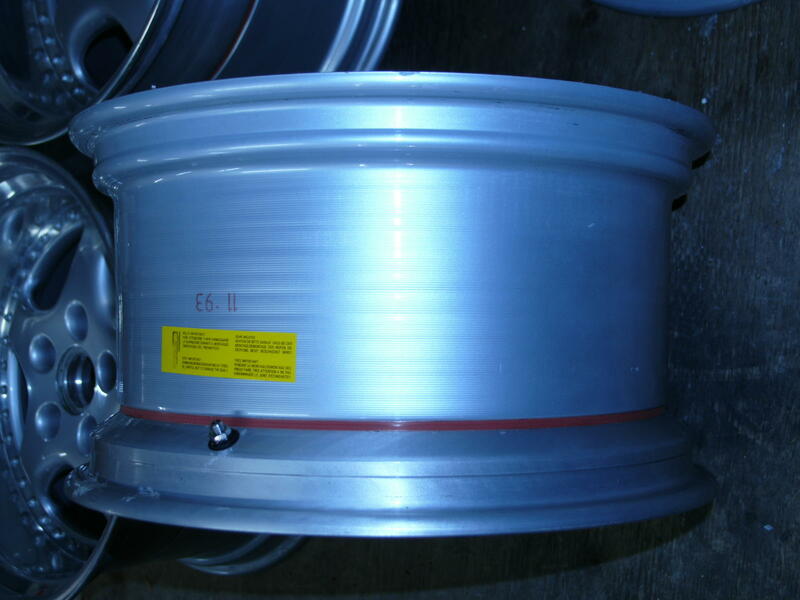 The part number reads the same as the rears used on the ROW 964 cup speedline wheels. 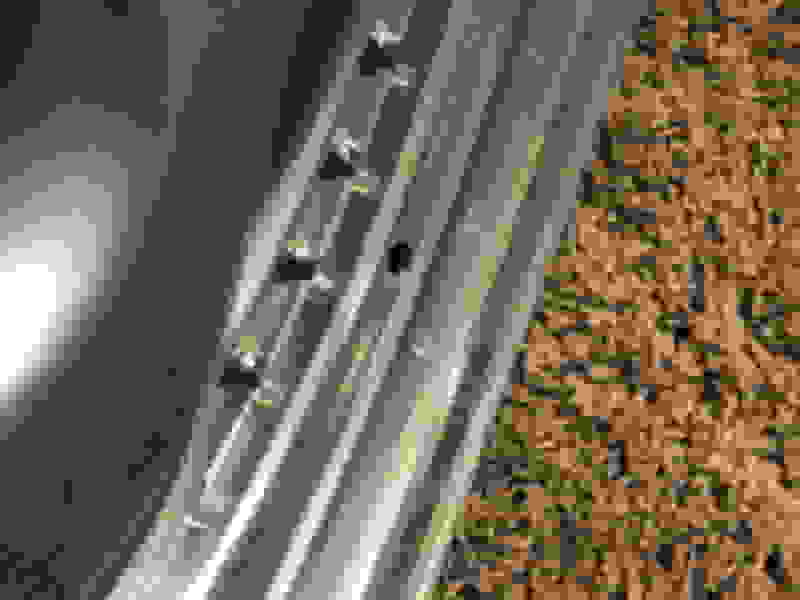 965.362.138.05 however the offset is marked and measures ET 57. All of the info I read and others who know these cars seem to feel the Cup car 9.5's are an ET 47 offset. Not sure if there was more than one version of the 9.5" speedline made. If there was I highly doubt they would use the same part number. It has been suggested they might have been mis-marked. I highly doubt it these are original from 1993 and have more QA stamps on them than any turbo Speedline I have seen. That would be a real screw up if they didn't pick up on this and that would make these a real rarity. 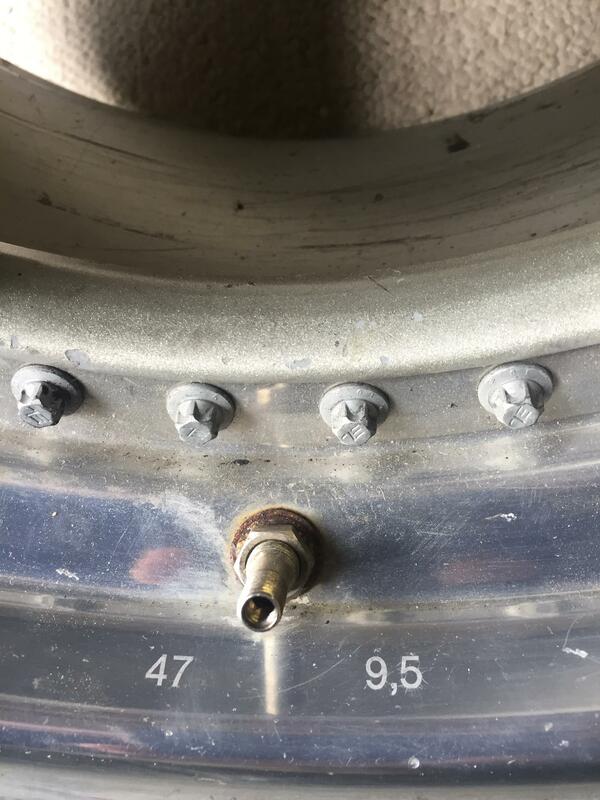 If anyone has info on the rear 9.5 Speedline as used on the ROW cup cars and pictures of the markings on either side of the valve stem and is willing to post it I would appreciate it. Would be nice to see if there is a mistake or if all 9.5's are ET 57 vs 47 as noted by most. Last edited by cobalt; 09-09-2017 at 10:38 AM. Here is what I have. I have never seen that 9 1/2 mark before nor a 57 Offset on a 9.5 rim. 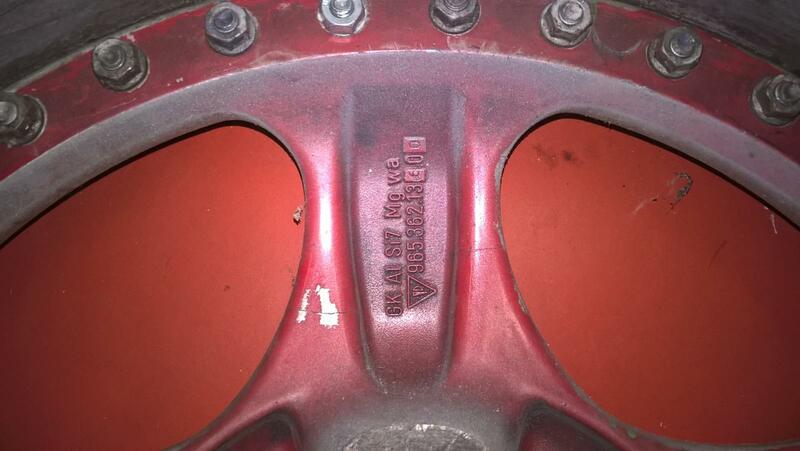 I wonder if the center hub wheel has a different offset than the 5 bolt? 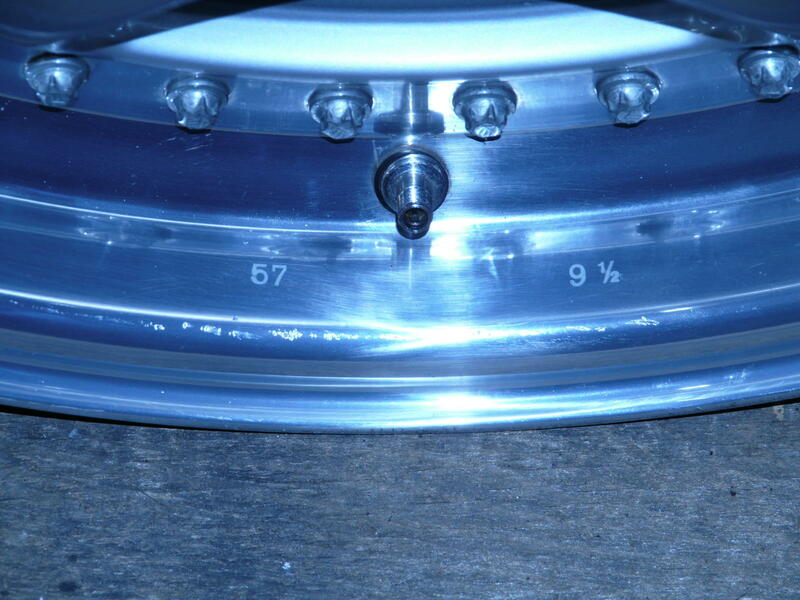 Clearly it must although the only difference is the center hub has an aluminum spacer ring where the center cap goes. 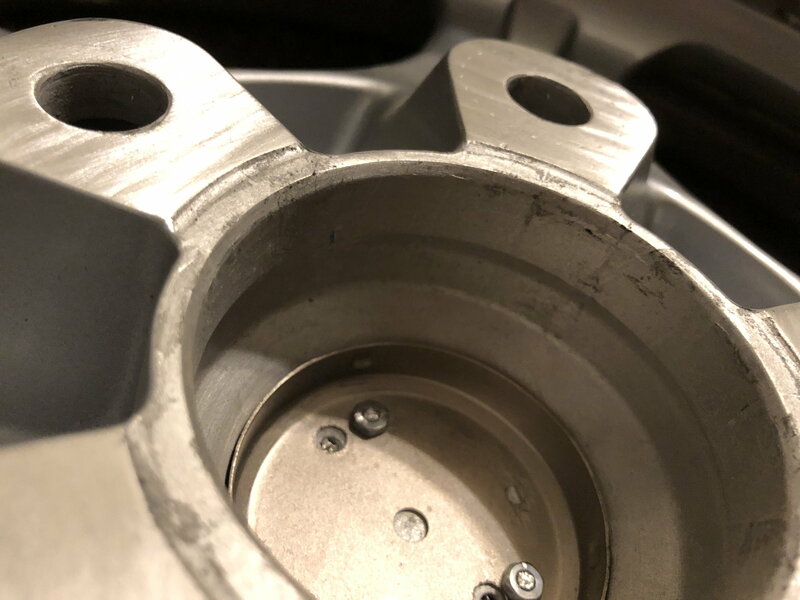 The bolt holes are drilled through as the regular speedlines are. 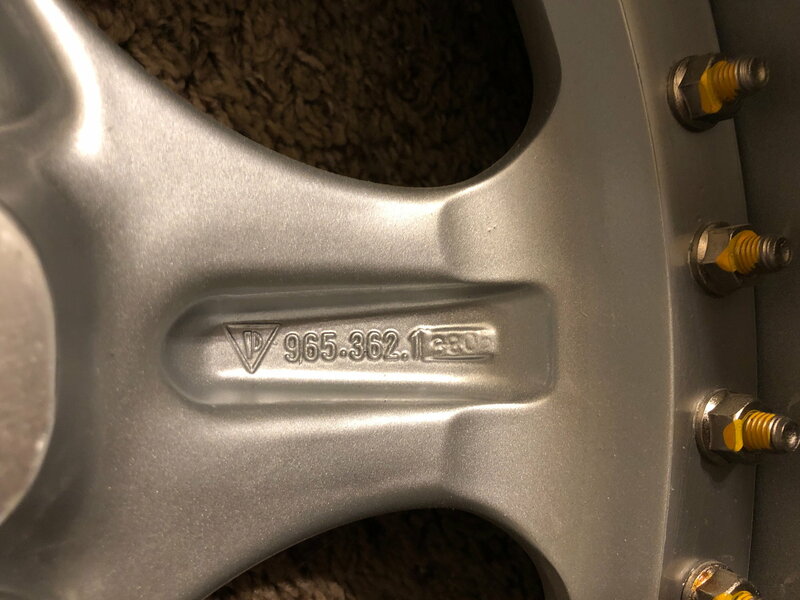 I am surprised that they would make two 9.5" wide wheels using the same part number with different offsets and different markings. 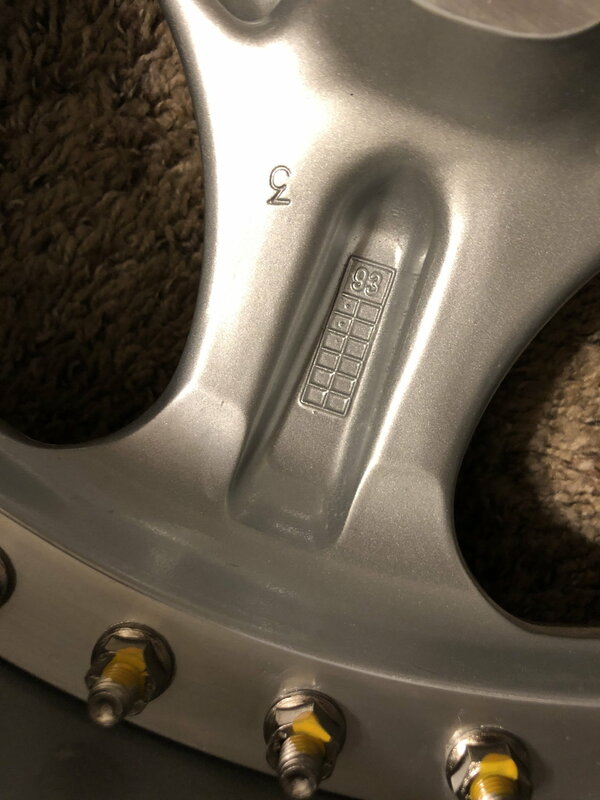 My wheels are clearly an ET 57. 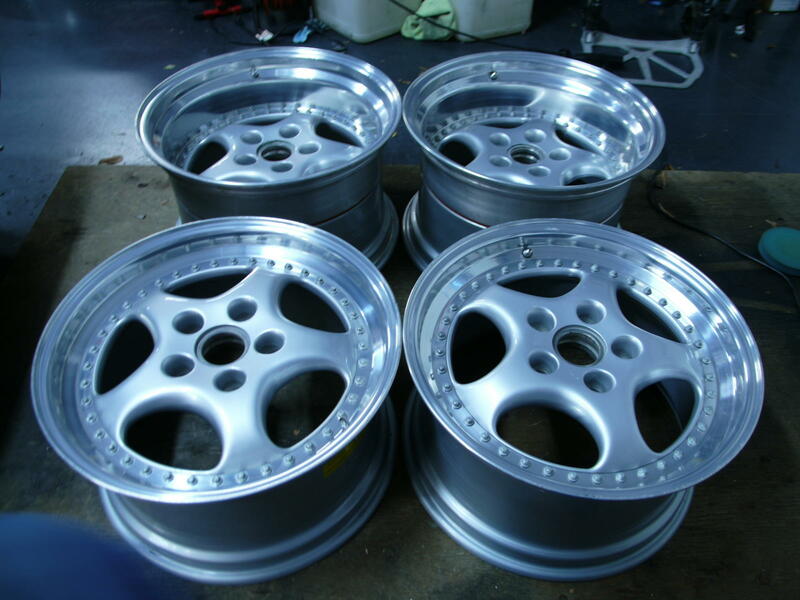 I have no doubt these are original and designed to be used on the front of a widebody 964. It would appear your lip is different than mine as well which it would need to be to be an ET47. 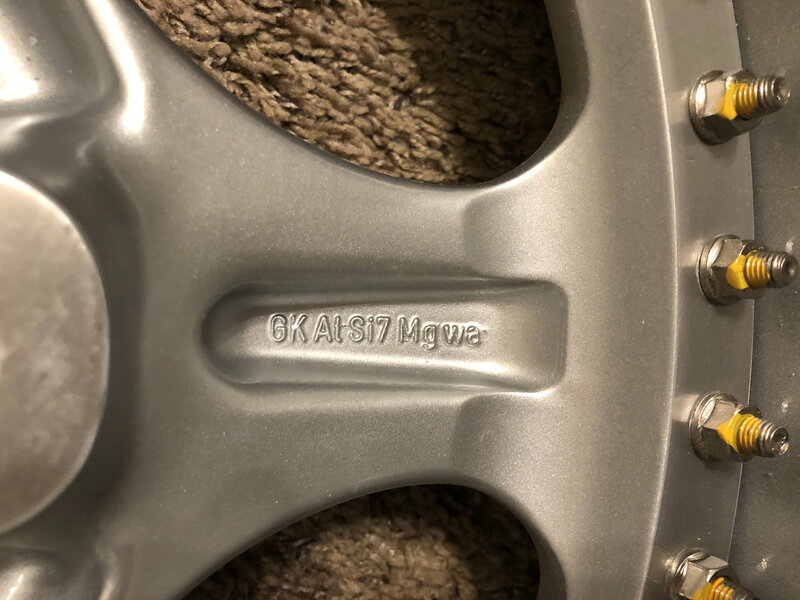 This is very strange they have different part numbers for Cup I wheels that are identical but made by a different manufacturer why would they not have a different part number for these? Thanks for the pictures. Any chance you have the production dates? Here is a picture of an RSR with center lock option. As you can see the outer lip is the same as my set. 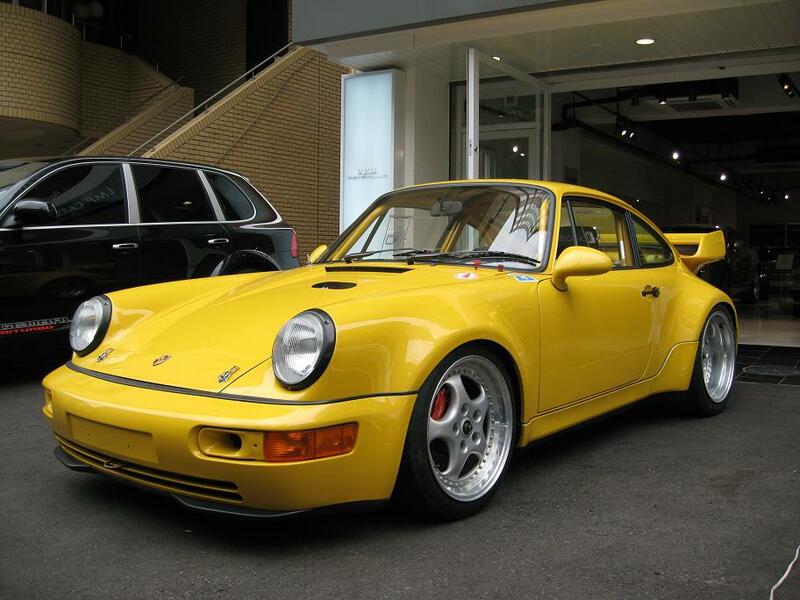 I checked with a friend last night who has an RSR that he has owned since new. It has the center lock option. 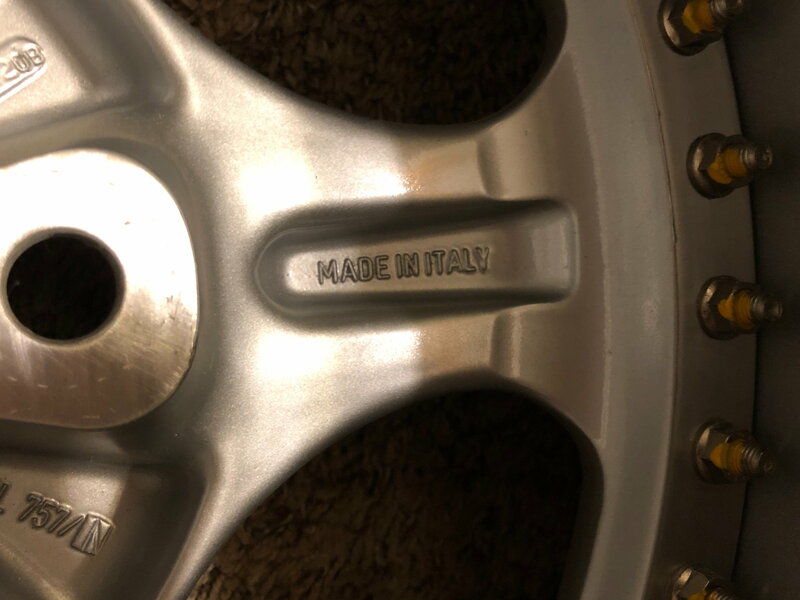 I sent him your photo and he said his wheels are marked exactly the same. Regarding part numbers, I agree, it is strange. 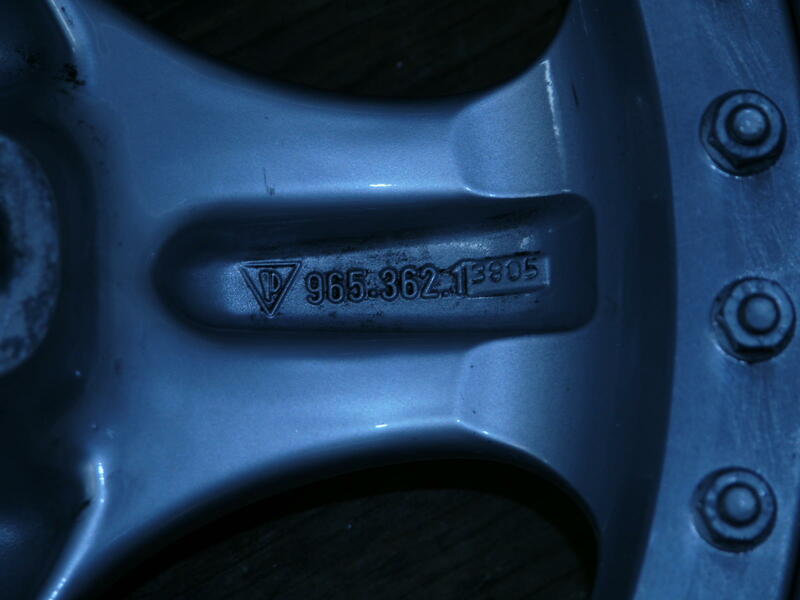 I was also surprised that the early and late versions of these wheels were numbered the same. Thought I would post a photo of the early version, 1991. Both of mine are the later, 1993. The spoke design is significantly different. Also, I assume that an RSR using a 5 bolt wheel is using the 57 offset? 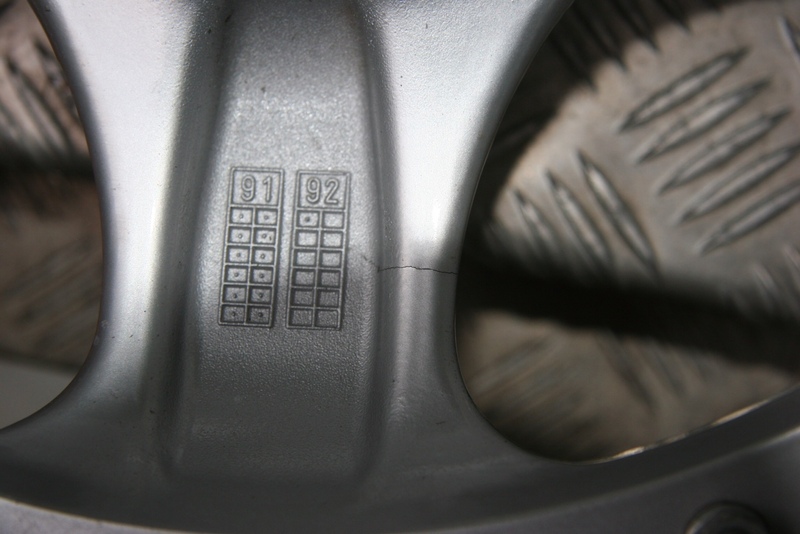 And does that wheel also have the same part number? Is the spacer ring the only difference? Yes part numbers are identical. I posted the picture of mine above. I agree there are early and late versions of the speedlines. I am assuming the early ones had the valve stems at the spoke vs in between spokes as they did on the 92 turbo S's. 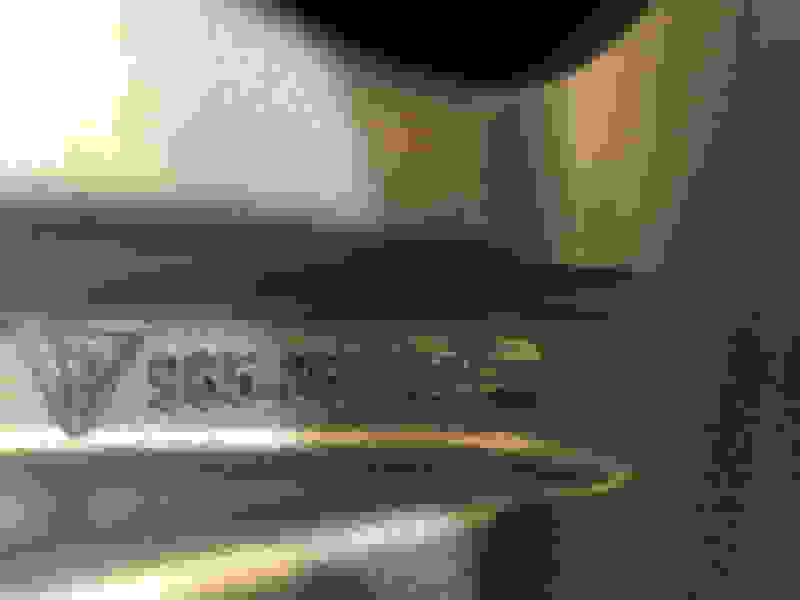 From what Ic an tell the spacer ring is the only difference. This is interesting. May never know why they did this, maybe left over parts already impression stamped (although there are ways around that). Thanks a lot I appreciate you reaching out. 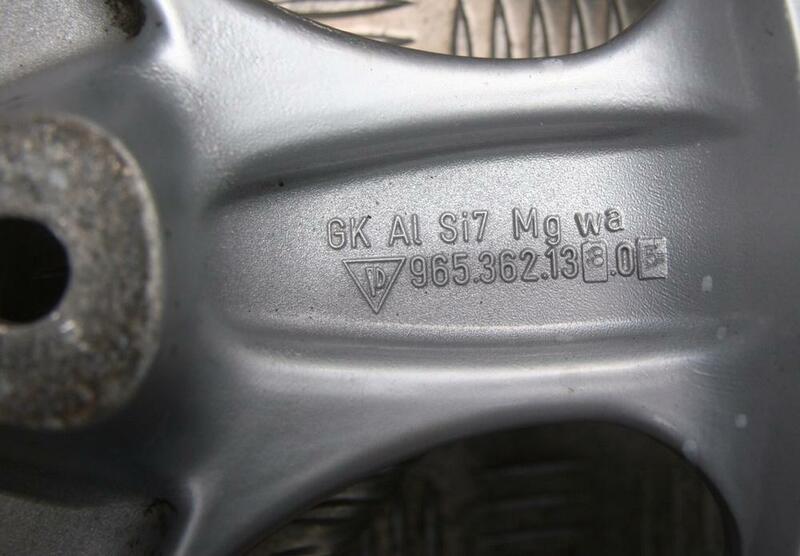 The early version wheels I have have the valve stems between the spokes. For anyone interested, the early version were weak through the spoke section and many cracked. They got heavy use on the Cup cars. Jim Dorociak does not repair them so they are basically conversation pieces which is what I am doing with them right now! Here are two. The third and fourth photos are Jim's. 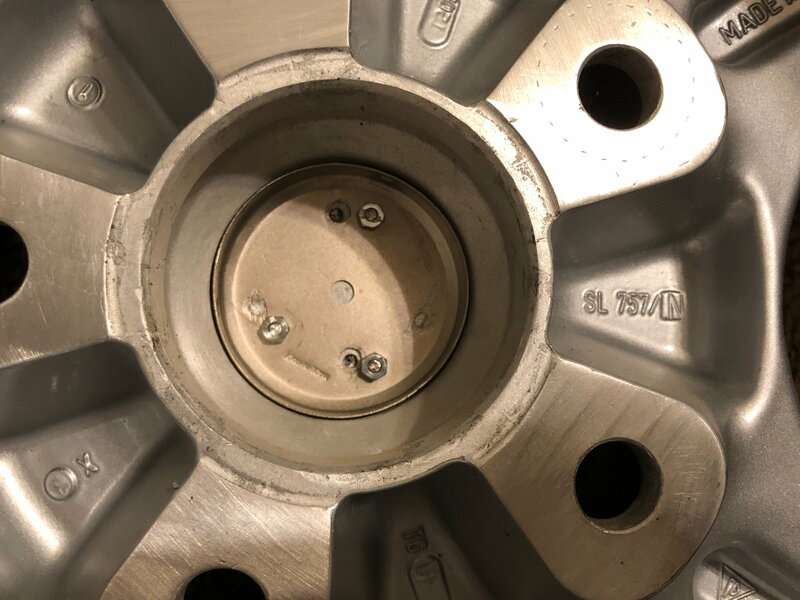 The third photo shows the thicker spoke section that solved the cracking problem but added weight to an already heavy wheel. 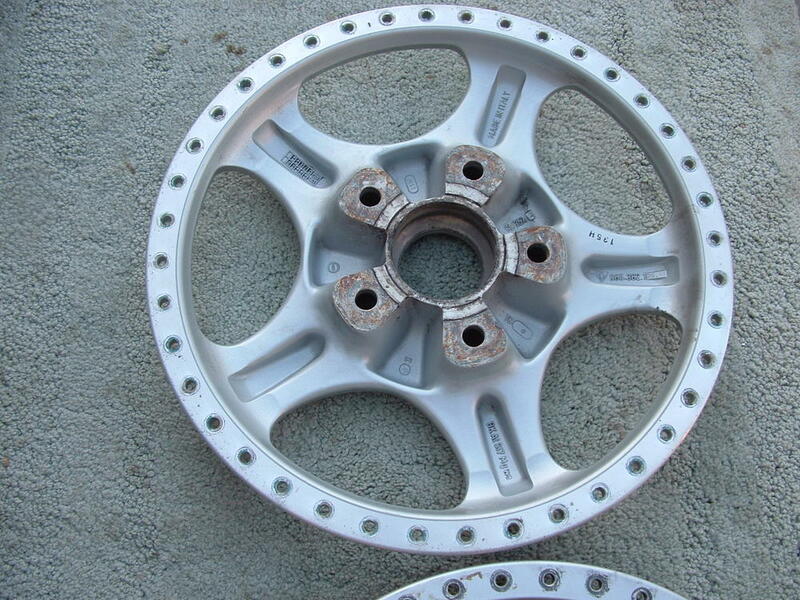 Significant design change not unlike the magnesium wheels which had the entire backside filled in. It is amazing that after all these years new info about the nuances of these cars are still surfacing. For those interested in speedline info I found out some more info that has never surfaced AFAIK. I have been talking to Norbert from the turbo Look register and he has factory info on the RS/RSR's. He was kind enough to share info on what he has. 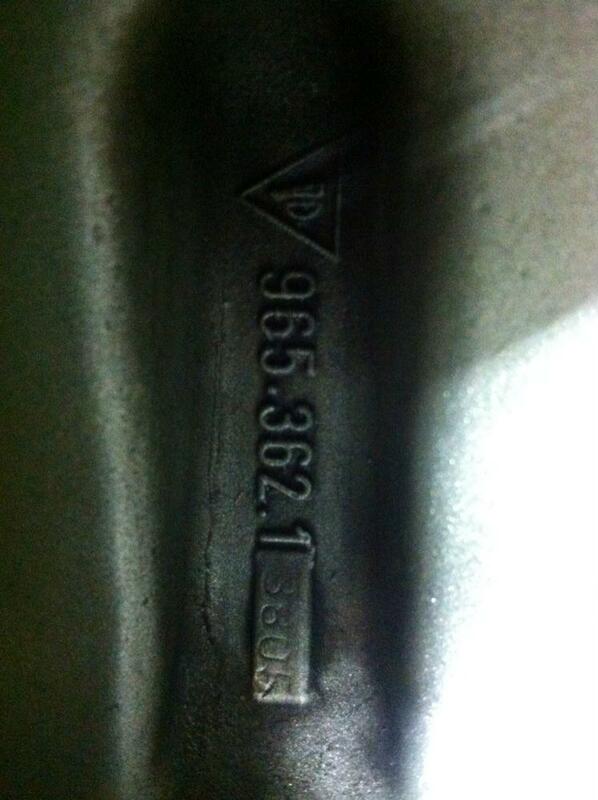 He sent me pictures of a 9.5 marked as 9,5 vs 9 1/2 with an ET57 but has a completely different part number 965.362.138.00. 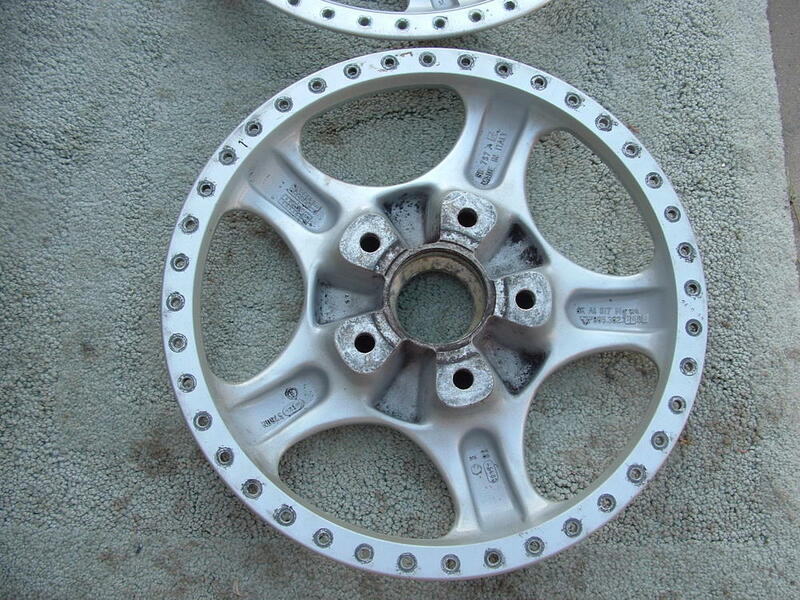 Strangely enough this is the same part number as the 9 x 18" speedline used on the front of the 3.8RS. So now we have factory parts marked differently for the same size and the RSR 9 1/2" fronts have no specific part number of their own. 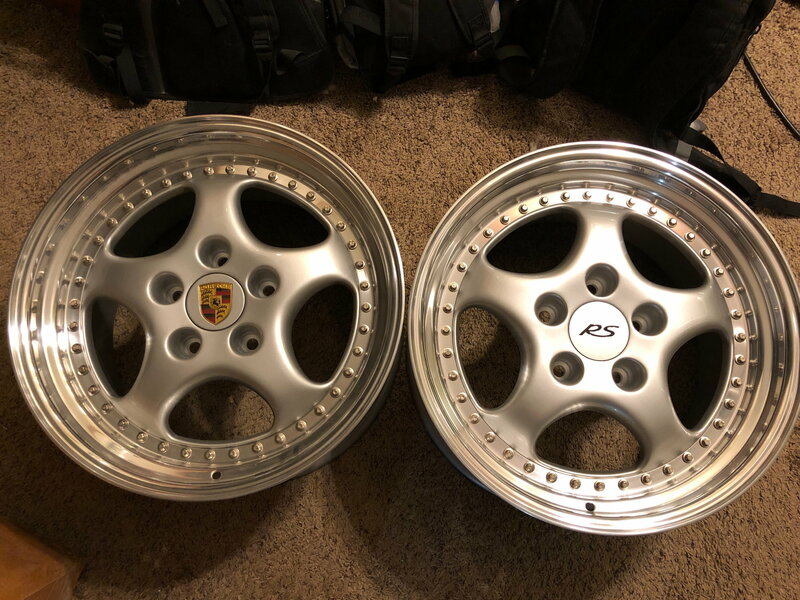 I can only conclude at this time that Porsche must have been using whatever was on the shelf to make these 9.5ET57 wheels for the fronts of the RSR's. They must have sent what they had back to Speedline to be reworked into a 9.5 the 9" became a 9.5 and was marked as 9,5 and the 9,5 from the cups formerly ET 47 was marked as 9 1/2 using the same part number. I am assuming that the Cup car rear came with 965. 362.138.05 but some were modified and marked 9 1/2 ET57 so to distinguish them visually from the ET 47 wheels and the 9.5"s that had been converted to ET 57. Anybody have any better ideas because this is confusing. I think you are on the right track. With a modular wheel it was very easy for Porsche to build whatever they needed. They could create whatever offset they wanted and do it quickly. I also remember they used the argument that it would be cheaper in the long run for a Cup car team to run Speedlines because they would be cheaper to repair. Rather than throw out a bent Cup 1 you might get away with replacing an inner or outer. At least that's what they were saying. 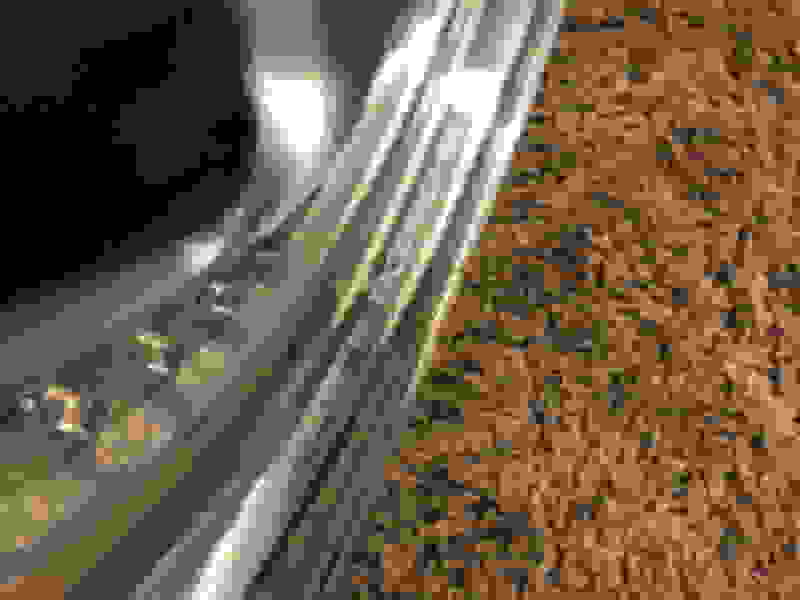 Last edited by MRH; 09-12-2017 at 08:51 PM. i think the 3rd and 4th pic are my wheels . lots of confusion many years ago as Jim had never seen them before and I had allready had them refurbished by a vendor in England that lost the rim markings of 9,5 47 .
afaik the 9.5 rears used a machined down front center to take rear 10” lips to make 9,5 47 .
a quick look at the rear bolting face shows the difference . theyre currently in boxes in my garage after getting them back from Jim . if anybody wants a pic let me know . ^^Thx for the info I am still learning new things about these cars after all these years. If you don't mind posting pics I would be interested. I’ll unbox them after work today and take a pic or two . finally got my 964 back from paint on Saturday , so will hopefully be back on the car in a month or two . i cannot access my old email account , or I would have much more info for you . Refurbished by Jim , now have the original 9.5 outers in packaging as I requested for later use as we wanted to try upping them slightly . i think they’re now 18x10 but as they’re cup wheels not turbo I have more lip . I have some older pics of numbers on my old laptop , from before Jim refurbed . will add them later . Jim does nice work no doubt. I am torn on having him rework mine. They are in overall very nice condition but have some marks from use. I really like the outer lip of the ET47 9.5. I still find it interesting that both versions of the 9.5 use the same part number with different offset. Thanks for posting. Quick Reply: Looking for 964 speedline 9.5" cup wheel offset info.